Did Red Sox Create a Sticky Situation With Pineda Ejection? Pine tar me once, shame on you, Michael Pineda. Pine tar me twice, well, no matter how much we say “it doesn’t matter,” we must have you removed by MLB officials. That logic used by the Red Sox on April 23 seems sound enough, yet John Farrell may have opened a can of worms for pitchers around baseball and his own team when the Boston manager alerted umpires of pine tar on Pineda’s neck. His ejection will undoubtedly cast a harsher light on all MLB pitchers, among them two who happpen to pitch for the Red Sox. No need to get biblical, but it’s baseball after all. So many unwritten rules exist in America’s pastime that it’s hard for coaches and players (let alone fans) to keep up with them. In the case of pine tar and pitchers, the April 10 incident involving Pineda and the Red Sox at Yankees Stadium enlightened many to baseball’s gentlemen’s agreement on the sticky substance. The verdict was unanimous in that neither the Yankees, the Red Sox, nor Major League Baseball gave a damn Pineda was using pine tar to improve his grip on the ball. Dustin Pedroia of the Red Sox told reporters it was “a non-issue,” while David Ortiz noted it was “better [to] be careful” than have a pitcher who throws 95 mph with the ball slipping out of his hands in his direction in the batter’s box. John Farrell said by the time he heard about it, Pineda had removed the pine tar that showed on his wrist via video from earlier in the game. When asked about the use of pine tar and pitchers, Farrell revealed why he may have been unwilling to cast the first stone at Pineda. Observers wondered whether the pitcher on the mound for Boston that evening — the oozing Clay Buchholz — had any impact on Farrell’s decision to let Pineda do his thing against the Red Sox. Had he asked for an inspection of Pineda, New York’s Joe Girardi may have asked for a look at Buchholz’s glove and person in the sort of gamesmanship that is typical of MLB managers. 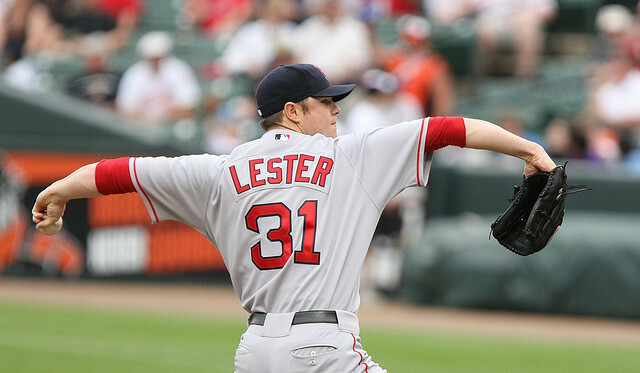 A harsher light ahead for Red Sox pitchers? MLB analysts were intrigued by Farrell’s reaction at Yankee Stadium on April 11 because Buchholz himself had been accused of doctoring the baseball in Toronto during the 2013 season. Buchholz, who seems to swim in hair gel and sweat every time he takes the mound, had enough substances on him during the game against the Blue Jays that announcers speculated whether it was the source of his effectiveness. John Farrell came to Buchholz’s defense at the time, saying it was simply rosin on the pitcher’s arm, which “was designed to get a grip” and is legal to use. 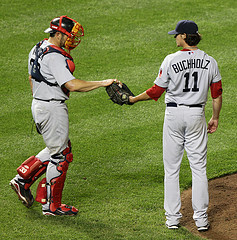 The pictures suggested a much oilier substance on Buchholz than is consistent with rosin, which has a powdery effect similar to chalkdust. 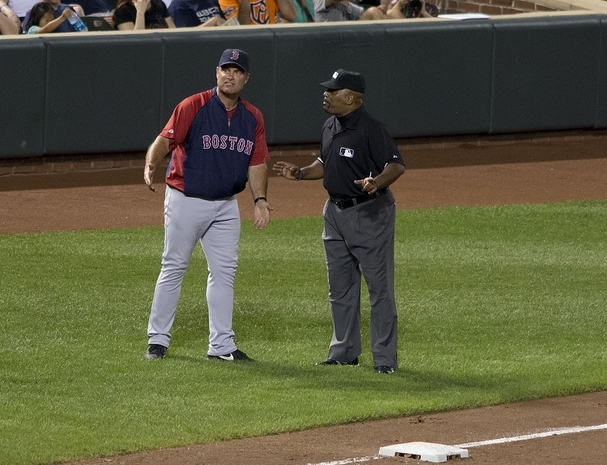 Despite what Farrell may be inviting with the call to inspect Pineda, the Red Sox manager did what even Yankees GM Brian Cashman agreed was his only option after the pitcher “forced his hand.” Pineda was immediately ejected by the home plate umpire and awaits the verdict on his expected suspension. There’s another angle to the story, though. David Ortiz has been famously treated well by Yankee pitchers over the years, at one point going 160 games without being hit by a pitch. When the media pointed out the fact and Ortiz was plunked shortly thereafter, he blamed the sports writers for the beaning. Ortiz’s reference to Pineda’s control seems to provide the Yankees right-hander with a built-in excuse should he hit a Red Sox player with a pitch at any point in the year. After all, he was using pine tar for a better grip, which the unwritten rules said was fine. Take that away and you have a pitcher throwing 95 mph with the element of surprise. On top of the scrutiny pitchers on the Red Sox and other teams may soon face, John Farrell may have put his players in harm’s way in the batter’s box.